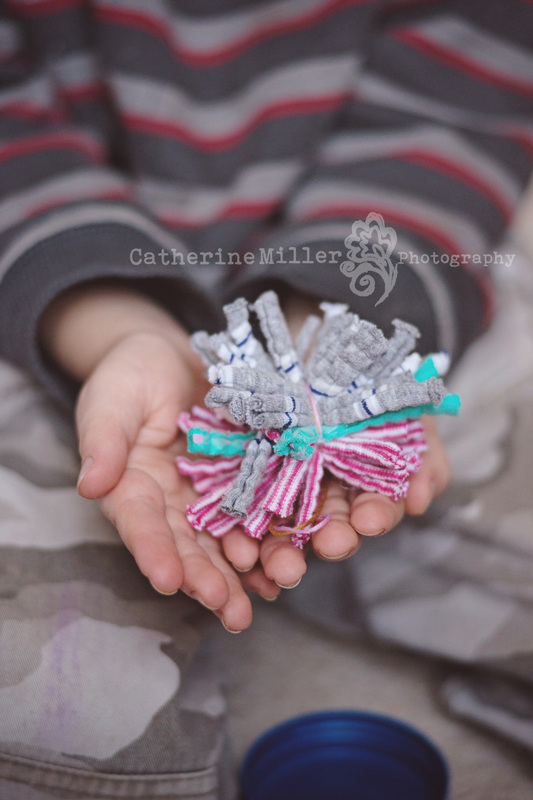 Do you LOVE POM POMS?! DIY DECORATIONS! YAY! Can I get an Amen?! Okay, so I might be a bit more excited than the average bear ( or bride…OR bride bear…) But, I seriously am passionate about DIY anything and EVERYTHING. I mean, serious. When I was little I used to dream of all the lovely things I would make for my own wedding…and now it’s here. So, for my material I had a few woven rugs that I had got a couple years ago (for literally like $2.00 or something ridiculous!) that had been drifting around our house. They hadn’t really ever been used so I decided to find a use for them. I cut them apart and used the material strips for this project. 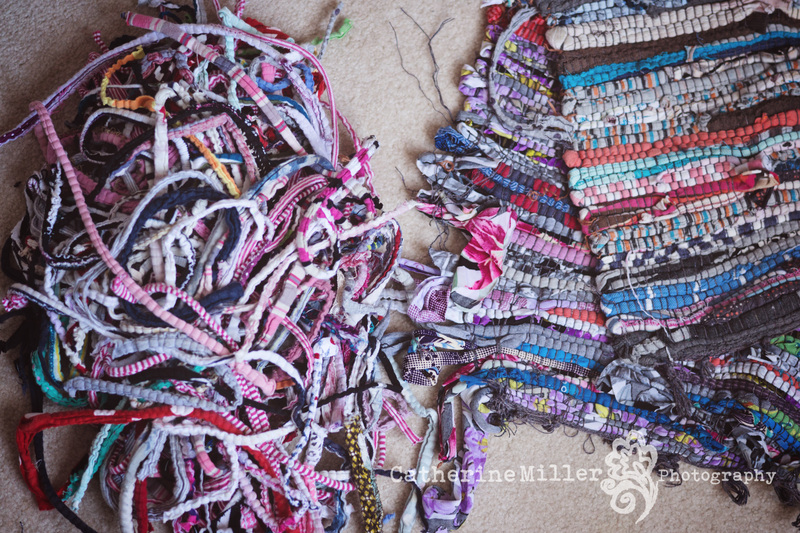 If you don’t have rugs you can cut apart old clothes or material scraps that you may have laying around and use those! 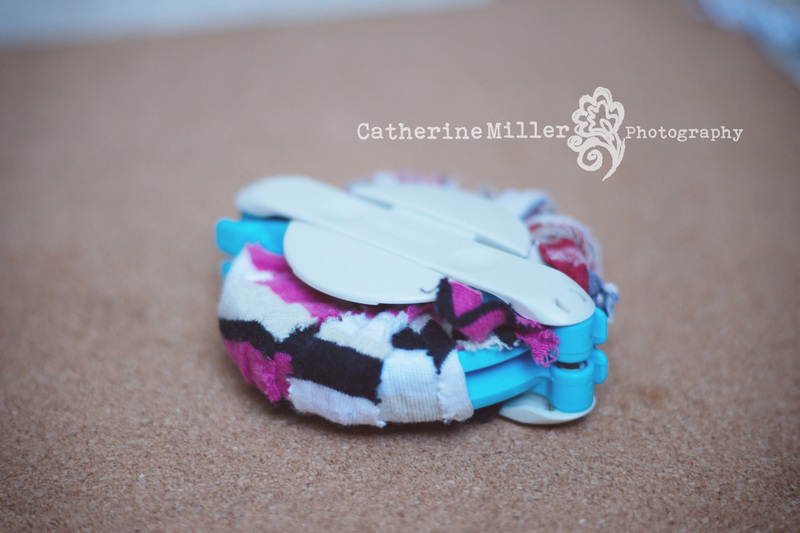 Really, Any fabric will work, just make sure they are cut into long thin strips! So, without further ado, here is my POM POM tutorial. If you don’t have a Pom Pom maker there are so many great tutorials on using cardboard or toilet paper tubes to make Poms if you’re in a pinch. 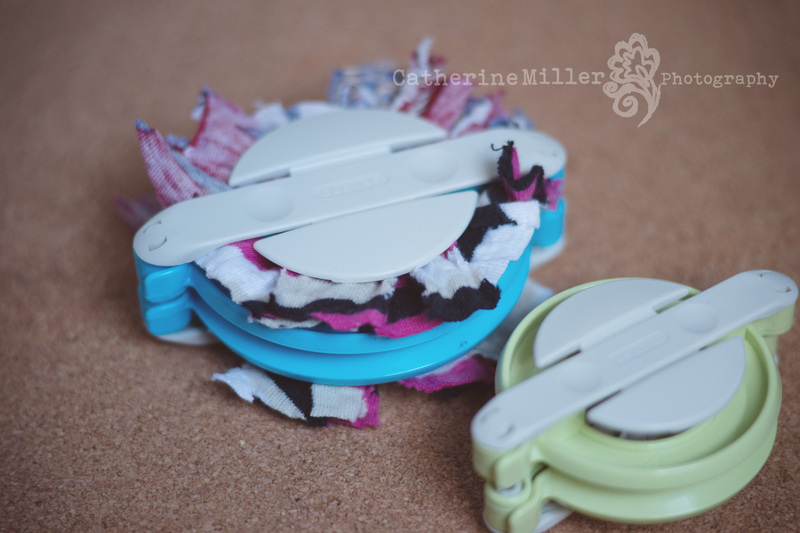 I just really love my Pom Pom maker…They’ve been great little tools to work with!! -The first thing I did was gather my long strips of material. I did this by cutting up a rug. 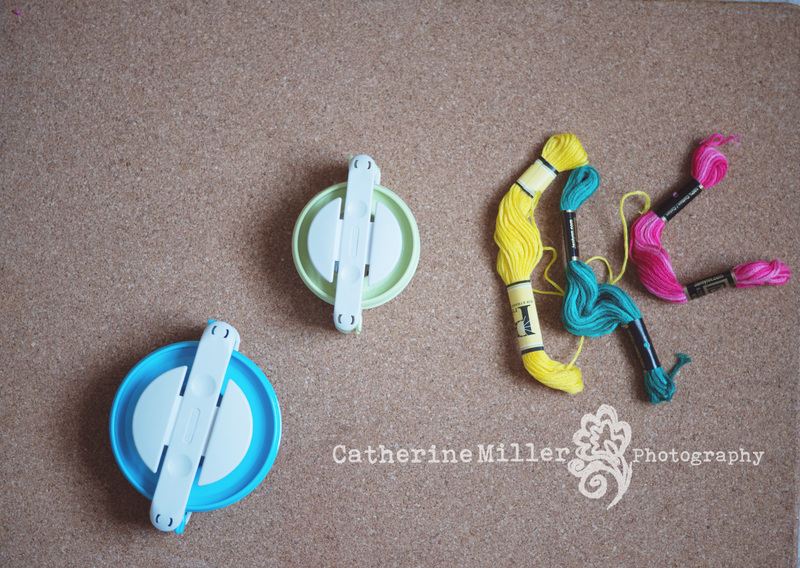 Sharp scissors, Embroidery floss and my Pom Pom Makers. I have a large one and a smaller size. After each side had enough material I took my scissors (PLEASE make sure they are sharp…otherwise it is a pain in the big ol’ booty to cut!) and I cut each side of the Pom Maker where the material was wrapped. I then took my embroidery floss and tied it REALLY tight and made sure to double and triple knot it. If it’s not tight the loose material will just fall out of the POM and then you’ll have a really sad Pom Pom and sad Pom Poms are NO FUN. So, there you have it. I have a few ideas for these Pom Poms for our wedding. Maybe flowers or a garland? I am not sure…But I can’t wait to incorporate these into our truly DIY wedding! So, This weird mama is getting married! That’s right, after a 2 year engagement, a baby and purchasing a house we are finally tying the knot. We are well aware we have done it quite backward, but I guess i wouldn’t expect anything different from us…we’re weirdos! We are in full swing wedding mode (Well, at least I am!) I have been coming up with ideas for invitations, decorations, themes, colors, etc. I seriously LOVE this stuff! It is really exciting to be thinking about my own wedding and being able to put all our own touches on something sacred and special. I have been doing a lot of watercolors lately to come with ideas and colors. It’s been really fun to get out my creative mess of a mind while still being productive in my preparation for the big “I do”. I just wanted to pop in and say WELCOME to our wedding Blog! I will update often and post tutorials for all you DIY’ers. I can’t wait to share my nuptial bliss with you all!